Your curls are you-niquely beautiful. My Natural Hair’s Curling Cream, is formulated to enhance your hair’s unique nature, leaving you with moisture-popping defined curls that speak volume. This delicious whip of Olive, Coconut and Jojoba oil coats and absorbs into each strand, for improved curl definition and hydrated light weight bounce. Satisfy your hair’s needs naturally. Nature has the very resources your hair has been craving. My Natural Hair uses a carefully selected blend of natural oils and creams to allow your hair to flourish. A crown should never be hidden. Whether it reaches for the stars, or stretches out to fill its surroundings, your natural hair was made to stand out. Our products are designed to work with your hair’s potential and not against it, giving you a natural defined curl pattern that is your own. Individual beauty defined and protected, naturally. You are a Queen crowned in curls. Curls to rule the world, own it, embrace it, and protect it. The My Natural Hair’s Curl Cream will help you do exactly that, free from all harmful elements, your hair will flourish Nature’s way, so that you can #QueeningInLife. As every Natural knows, your hair is something that should be embraced. Love your hair and choose a product that will do exactly that. 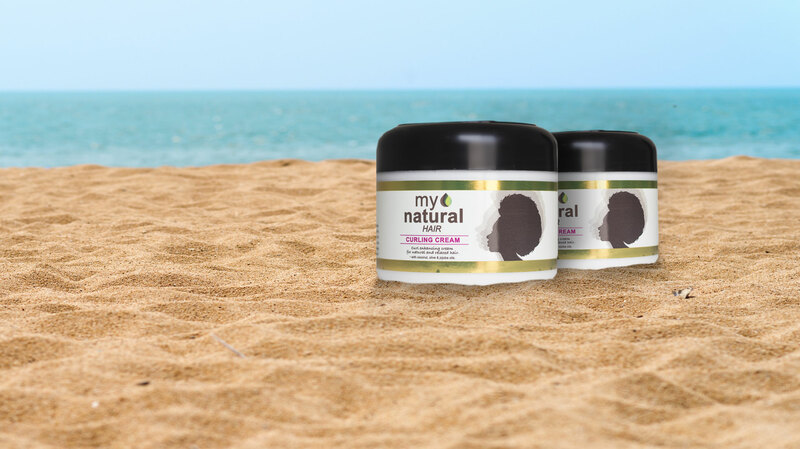 The My Natural Hair’s Curling Cream gives you, Nature’s nourishing goodness worthy of a Queen.